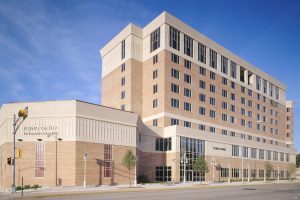 In conjunction with the nationally prominent University of Wisconsin-School of Business, the University wanted to create a multi-use executive level residence and conference/banquet center for professionals continuing their education in the field of business. 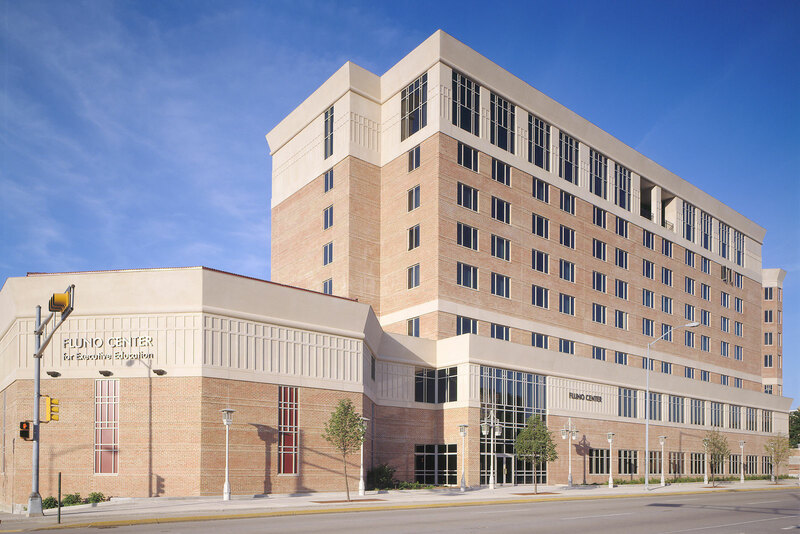 The facility includes a five star restaurant, fitness facility, bar/beverage and recreation area, conference rooms, breakout rooms, group study rooms, technology ready classroom and training spaces, and distance education areas for teleconferencing as well as a below grade 290 stall parking ramp. In 2004 and again 2005 the Fluno Center ranked #1 in the world for food and accommodations in custom programs by the Financial Times.